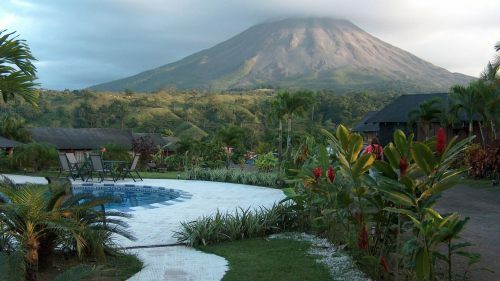 Flights from Vancouver to San Jose, Costa Rica seem to keep hitting new lows. The bottom is now $346 CAD roundtrip including taxes. One Response to "How low will Vancouver - Costa Rica flights go? 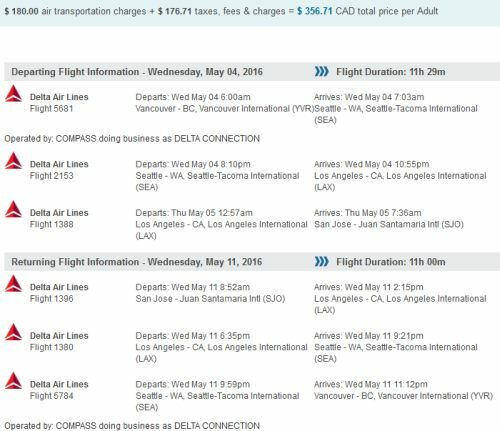 $346 CAD roundtrip including taxes"
Similar deal is back, a lot of availability between Sep and Dec for C$355 (after coupon code on flightnetwork.com). Prices for May and June aren't much higher. Business class on United is about double that, which I find also good deal, however the flight times were awfully a lot longer for dates that I wanted to travel, so I bought economy on Delta. I booked 10/23 to 10/31, on Delta, with a connection in LAX both ways. Search prices first on Google flights, then book on flightnetwork.com. On payment page, enter promo code INTPERK16 for $20 off. You can enter it right under optional insurance section. If you need a help booking, post up. Does somebody know why deals to SJO keep popping up this year?